The British Indian Ocean Territory consists of the seven atolls of the Chagos Archipelago with over 55 individual islands – many of which are tiny. 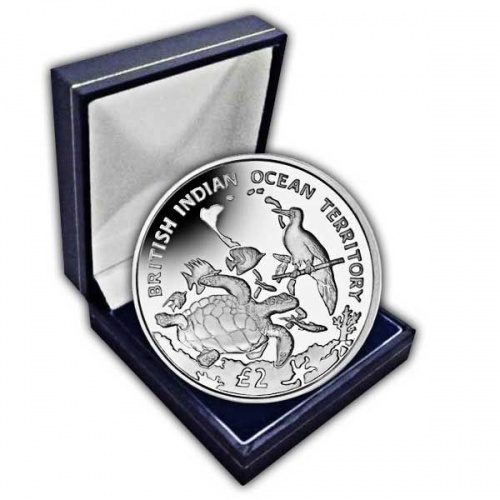 The largest and most southerly island is Diego Garcia which features on this new coin. 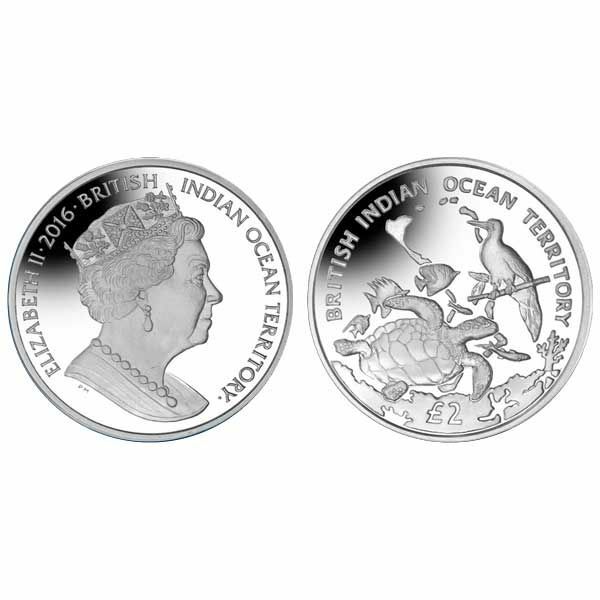 The outline of Diego Garcia Island is shown in the centre of the coin with some of the native wildlife also shown. 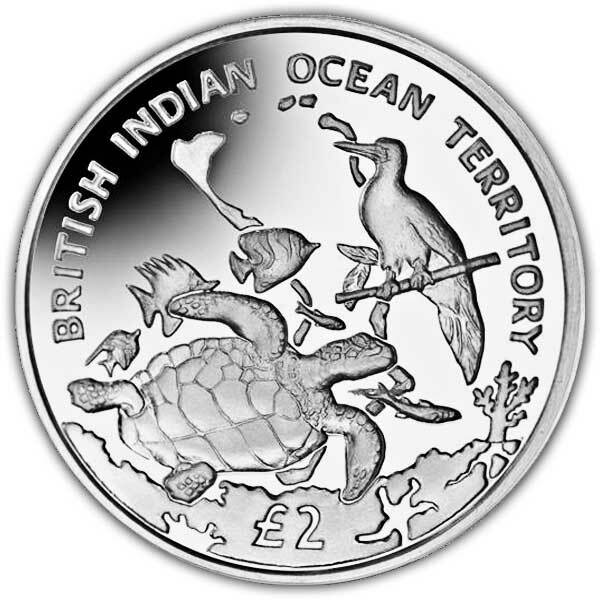 A Turtle, a Booby Bird and some Angelfish can be seen on the reverse of the coin alongside some coral reef at the bottom. The design features a Turtle, a Booby Bird and some Angel Fish. The Outline of Diego Garcia Island is shown in the background. The obverse of the coin features an effigy of Her Majesty Queen Elizabeth II exclusively by Pobjoy Mint. Available here in Uncirculated Cupro Nickel and also Proof Sterling Silver. Each precious metal coin is truck four times to create the famous “proof” finish.